In today’s world, the smartphone has now become one the dearest thing to your heart. That is the case because it contains all your personal information and hence you will always to keep it safe, no matter what. Losing your phone is losing a part of you and now imagine this major part of you being lost or get stolen. If this situation occurs first thing you need to do is to file a complaint with your local authorities. And if you set precautionary measures on your phone, you can even track your device with the help of Google itself. Over the years Google has been coming up with several numbers of tools as well as features to ensure the safety of users. In the year 2013, Google introduced Device Manager service which helps in locating lost devices and in the year 2017 the company released some features and named it as Find My Device. The above-mentioned feature is default enabled on Android devices running on Android KitKat and above. Any Android smartphone or device must have a working internet connection and Google sign-in with location enabled for feature to work. Here’s how you can use the feature if your phone ever get stolen or even lost. 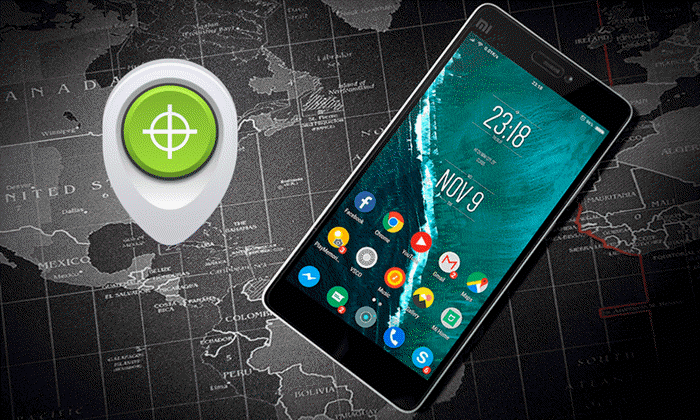 After losing your phone if an android user wants to track its current location due to the internet being off, they can go to the web application of Find My Device and find out their last known location. The feature scans your Google Maps location history and displays the last known location from it. The app will also display the last connected Wi-Fi access point. This will enable users to determine the location of their lost device even if the location can’t be reported. If the location service of your lost device is not on, this can help you determine if it is currently being accessed over a Wi-Fi point. The tool will also tell the amount of battery left in the device. This will allow users to estimate the time they have to reach their smartphone. Find My Device has also added the functionality of displaying battery levels.Users with multiple devices can also perform actions like ring, lock, and erase. To work successfully, there is a requirement of an internet connection, a Google sign-in, an the location feature enabled feature.